Are you still waiting for government help to solve your own personal problem? No offense, but please allow me to ask you; Are you among the few people in this country who still expects the government to come and help you out of your dire situations? Do you feel that the government owes you and needs to do something? Let’s face the facts! The US Government today is running deficits of over a trillion dollars, and is in tens of trillions of dollars in debt. State and municipal finances are not in any better shape either. Government’s sources of income are going down every day (taxes are down, jobs are getting shipped out, and small business are struggling to make profits), while its expenses are rising steadily. It is only right to conclude that we’re reaching a situation where many of the things that we take for granted from our Government will become more and more unaffordable for it to provide. What I find worrying is the level of ignorance about these factors in the minds of regular folks. It is probably because we’ve been saved from the economic problems going on in Europe, because of the stronger foundations of our economy. There is no immediate threat of the US Government going bankrupt, so we’ll probably be saved from a complete breakdown in Government services and programs like Medicare. But in my book, it is important to be prepared for any eventuality. Let’s face it! We are responsible for our own lives. We are the ones best placed to solve our own problems. Government help will only provide temporarily relief for those who are facing the greatest difficulties. In our capitalist system, it is our responsibility to pick ourselves by the bootstraps and find a way to succeed. America is the land of the free, but freedom comes with responsibility. The only way for America to reclaim the great heights seen throughout our history is for individuals to take responsibility for ourselves, and to improve our own futures through better education, and hard work. We need to build up our capabilities to become the leading nation in science, technology and enterprise once again. The reality is that the tax money that state governments have to run on is shrinking each and every single day. If someone does not pay their property tax because of unemployment, what that translates to is that even the counties that we depend on to provide essential services will encounter problems providing such services due to lack of tax revenue. State governments are taking drastic measures such as cutting many valuable programs that people have taken for granted over the years. This is related to unemployment and other financial issues occurring today. Over the last number of years, the states have cut more than fifty-billion dollars from their budgets. Also they have raised taxes more than thirty-billion dollars or thereabouts. With the federal stimulus money diminishing, the cuts could keep happening if the economy does not turn around quickly. This could mean taxes going up even more in the foreseeable future. You and others need to expect less help from government now and in the future. It is going to be less likely over time that all your ills can be solved by the government. In fact, with some decisions being made today, life could become bumpier, unless you take the attitude to help yourself. Contrary to what you or others might believe, the government is not always wise with their thinking when it comes to our well-being. I am completely against us sitting back and expecting for Government help to take care of us. Waiting for the government to intervene is the very same reason why we are where we are in today’s society. We sat back and expected Government to watch out for us, just as a Father looks after his offspring. And in the end all we have been left with is broken promise upon broken promise and no way to tell who to trust and which direction we should take as a whole. No, it is time for us to begin showing Government that we know they failed us and that we’re not going to sit idly by and continue down the path we’re on. The Government has been allowed to creep its way into nearly every facet of living. The Government has more control over our lives than it should have. And the only thing we have to show for it is a country steeped in debt and every one in Government pointing a finger at someone else in blame. Where does it end? When do we wake up and accept the fact that we’ve been going down the wrong road? Hopefully before it’s totally too late. Government, today, is a joke. A joke that isn’t even funny. We’ve paid these officials big salaries to do nothing but sit back and rob us and make us feel that they are a necessity. Well, now we know better, so we should do better by doing all we can to take back our freedoms from the hands of Government. We don’t need them as they’ve made us think. They need us so that they can sit in fancy offices, wear high titles and pull in huge pay for nothing. Government help we cannot depend on. 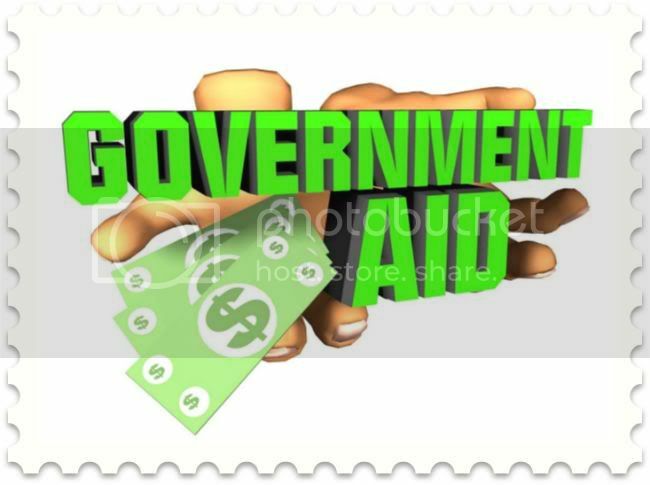 The only government help we will receive is the help we give ourselves starting by letting Government know we can do without them. While the analysis is true that according to the current trends, we shouldn't expect there to be much financial assistance from the government and should not plan around it, the idea that the government is helping us as some sort of charity work seems pretty problematic to me. Government programs are public programs - they have developed because (at least in theory) people thought they were for the public good. In other words “government help” is not really giving charity to some individuals, but trying to correct systemic mistakes that have been identified in our society. The fact that many politicians are being very short-sighted as to how to deal with these programs is astounding. To simply cut or eliminate government programs for political gain rather than consider the long-term consequences of their actions, is very scary. The problems that these government programs are supposed to address will likely get worse and worse over time, which won't be too much fun for us or future generations. It’s amazing that so many people have blindly accepted the notion that government help is some sort of bureaucratic waste is also somewhat ironic as pretty much all of us benefit directly and indirectly from these types of programs. Who doesn’t use public roads and other basic public infrastructure? Who doesn’t enjoy human services, from cleaners to cashiers to telephone operators – who have been educated thanks to so-called government help programs? We can see that the economy is going downhill fast because these programs have progressively been eliminated or downsized – failing to keep up with population growth, let alone expand beyond population growth – for the past 30 years, leaving our economy less and less competitive with other countries that invest in their human resources through sound government help programs. But rather than learn these lessons, we continue to inject more of the same poison into our system.